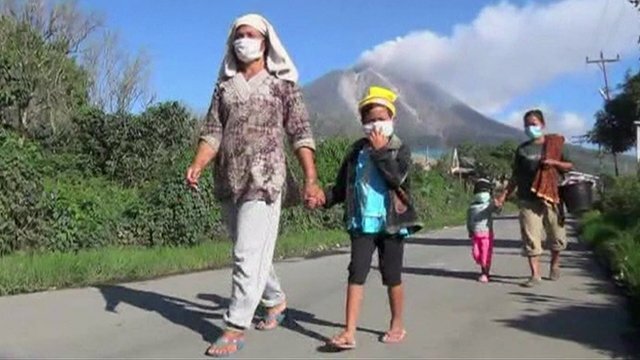 Indonesia volcano alert at highest level Jump to media player Tens of thousands of Indonesians are moved to temporary shelters following a series of eruptions at the Mount Sinabung volcano in North Sumatra. 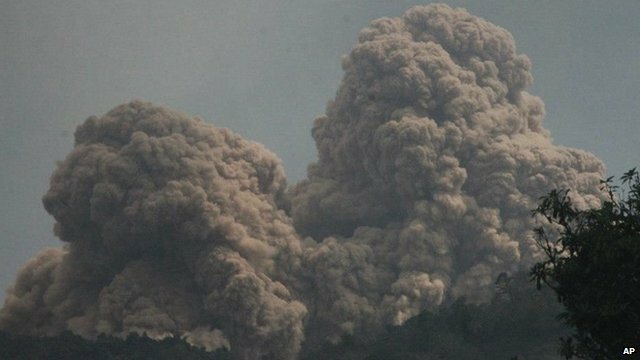 Indonesia volcano spews ash Jump to media player Indonesia's Mount Sinabung erupted several times on Tuesday night and Wednesday morning, forcing more residents to evacuate. Deadly Indonesia volcano erupts Jump to media player Thousands of Indonesians are still waiting to find out when it will be safe for them to return home. 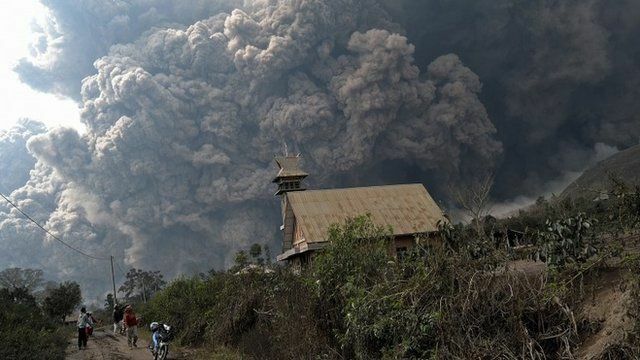 A volcano has erupted on the Indonesian island of Sumatra, engulfing villages in hot ash and killing at least 14 people. Charles Scanlon reports on an eruption which spewed ash and hot rocks 2km (1.5 miles) into the air and "seems to have taken the local communities by surprise".